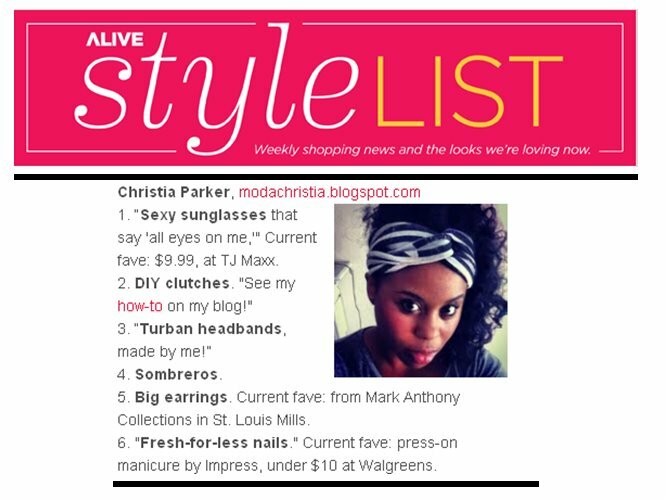 This past week I was honored to have my blog featured in the Alive Magazine Style list. Jill Manoff, the Style Editor,has created an weekly e-blast of Style in St. Louis and my blog was one of the first picked. Thank you guys so much!! ;) Below is a list of my recent style obsessions. You can find the full article if you click on the link below the picture!